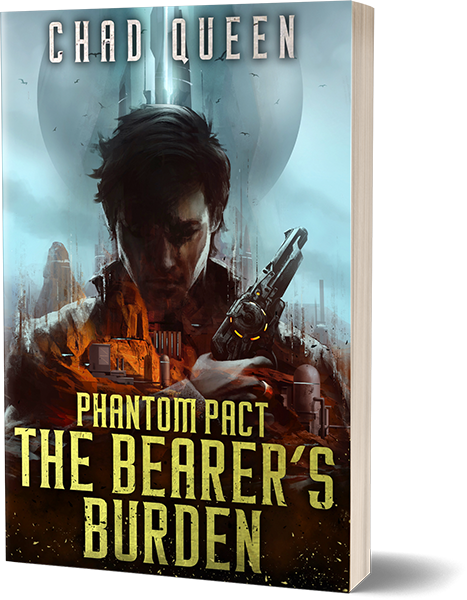 Hey everyone, Phantom Pact: The Bearer’s Burden is undergoing the final proofreading pass and I am aiming to release it to the world on May 8, 2018! I always wanted to write ever since I was in elementary school. I was an insatiable reader as a child, grabbing every Isaac Asimov and Piers Anthony book I could find. All those stories of spells, spaceships and dragons fueled my desire to build my own worlds. I ended up channeling my energy into making video games. Making games continues to be a huge passion of mine, and I can imagine doing little else. But writing has also become an exciting endeavor for me. What other medium allows you to create a galactic battle with interdimensional beasts battling for supremacy within the space of a few pages? To create an analogous experience in a video game is a massive undertaking and could cost multiple thousands, if not millions, of dollars. Both mediums have their place, but books are wonderful in that there are no limits to what can be created. And best of all, we can weave our own imagination into other worlds and imagine it in our own way. This is one of the many superpowers of the written word. I am close to sharing a world I’ve been thinking about for quite some time. So I’m sitting here, piecing together this web page, hoping that my lack of design skill is compensated by the theme’s built-i elements. But more importantly, I’m working on putting all the last pieces together so I can hit the ‘publish’ button. This web page will allow me to share my experiences with you on making all this come together. If you haven’t had a chance to play the mini-ARG, The Makers of Music, please try it out now by signing up for the Newsletter, and send me any feedback you have. There is no commitment: the newsletter is only a one-click unsubscribe, and I promise I will only share important updates. There will be blog posts soon that will talk about how we (I had a lot of help) built the ARG and the language surrounding it. I would like to build a small community here where we can share in the process of creating these worlds and help shape future works. I hope you will be a part of it.